Classroom and Leadership Reflections | Living life-on-life with students. Mia Tang may seem to have it together from an outsider’s perspective, but this young girl was constantly under fire growing up and living in a motel. 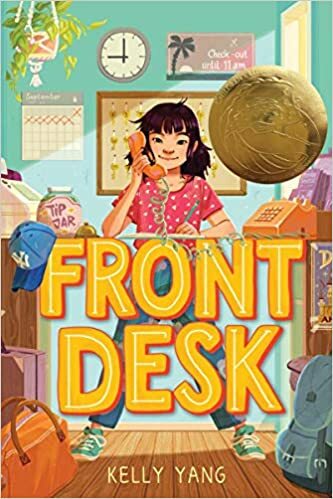 A product of immigrant parents, Mia is forced to grow up quickly working the front desk of the Calivista Motel as her parents clean rooms and handle the wrath of a iron fisted owner. The front desk eventually becomes a place of other struggling immigrants to stay a night without paying and keeping it hush, hush to the evil owner Mr. Yao. Mia battles challenges of being a newcomer to the United States with a mother who doesn’t believe in her English ability; rather, she is insecure about her own abilities and pushes Mia away from her passion to focus more on math. Mia displays a stubborn grit that allows her to get herself into trouble for all the right reasons. As she befriends the regulars, she finds herself in some small trouble. Mia takes on the institutional racism and stereotypes of Mr. Yao all while gaining courage to persevere through it all. 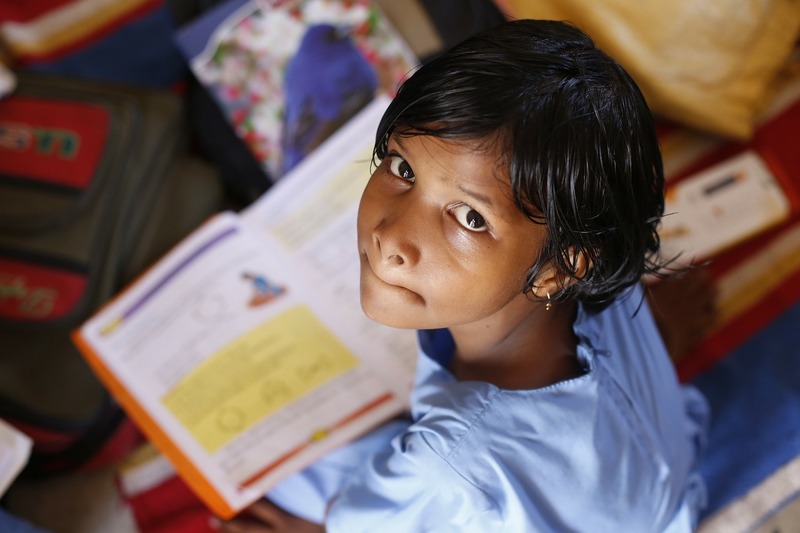 A youthful child, Mia is an inspiration for middle level students (ages 10-12) who carry a heavy burden on her heart daily. As fate seemed not on her side, Mia surrounded herself with the regulars that became like extended family members. Together, they battle many challenges and Mia develops into a fine young lady. Recommend: Yes, purchase this title for upper elementary or lower middle. Recently a friend and I were going back-and-forth about the challenges of getting students to love reading for pleasure. While I acknowledged I was a better math student in middle school, he thought many teachers were not doing enough to cultivate the passion of literature for students. My buddy knows the challenges of teaching — he hears it daily from his spouse who teaches. Over time her has heard a lot about teaching and the challenges in that exist in the classroom. But he’s never been a reading teacher. He has never had to teach a room of 11-year olds about the atrocities of 9/11 terrorist attacks through Towers Falling. And worry about the message the Muslim student was going to tell his parents as some rude students made inappropriate comments to him because he was of similar ethnicity as the culprits in this dark moment of history. Which resulted in giving the parent a heads up on the novel and maybe even sending her a copy to make sure she was OK with him reading it. He has never tried to have a deep intellectual conversation with children who are being brought up in illiterate homes where education is not valued. He never had to prepare a child for a state standardized test that would determine their future classes and begin their high school journey. Which results in a possible phone call of a child not making the advanced class the following year when they were receiving high marks all year long — actually receiving high marks their entire school career. While the scenarios may seem trivial to non-educators, I believe the job and work is only done by those who have a passion for children. It’s a challenge to reach the disengaged child who has a laundry list of reasons why he/she is not achieving at the maximum level. He … grew up in a privileged home … where his mother was his literacy leader. Yes, his mother read him the Bible every day and constantly had a book in her hand, next to the toilet, or in the car on long rides. And he never went without books that supported his interests; he saw himself, white characters, on his books and was engaged in them. When children do not have a model, they sway towards what they know during unstructured time. Often it consists of students playing on phones, tablets, or video game systems as they eat their meals (if they even eat) in isolation. No conversation around a table or parents asking about the book they are reading; their homes are book deserts. But what if a class was filled with books where kids saw kids like themselves on the covers? Children will instantly love books, right? Maybe the challenge will fix itself and reading comprehension will instantly improve. No matter how well behaved a group of students can be at one time or another, it never stays that way forever. To maximize the most out of literature it was be given life, students must ask question, question history, make sense of it, and feel comfortable looking at multiple sides of an event. The missing curiosity and inquiry of our students is a deafening alarm. Reflecting … I had a math leader. Anne Paul, my middle school math teacher, made me fall in love with mathematics. Looking at it through an authentic lens and having a grandfather who used measurements as a carpenter daily, I always saw the value. I felt the importance of need to know math. I didn’t have that in my reading classes. Most of my students, don’t have that literacy leader in their home; therefore, they need to find that literacy leader at school. A person who challenges them in their reading, who finds books to meet their needs, who shows new books, who shares new books, who loves new books. So, when teachers spend an exuberant amount of time outside of the classroom reading books, buying books, connecting with authors online, it’s true we are working. In a team meeting today, I was asked to take a small group of the most challenging young men who may have not independently read a book in quite sometime. Many want to avoid the mountain of a task, but I am strapping on my boots to climb the mountain. They need everything I got because I cannot let them go through middle school like I did … looking for their literacy leader.